Measuring nearly 5 feet 9 inches,the world’s biggest dinosaur footprint was unearthed in northern Australia, dethroning the 1.15 meter-long footprint of a carnivorous dinosaur in Bolivia found on July 2016. 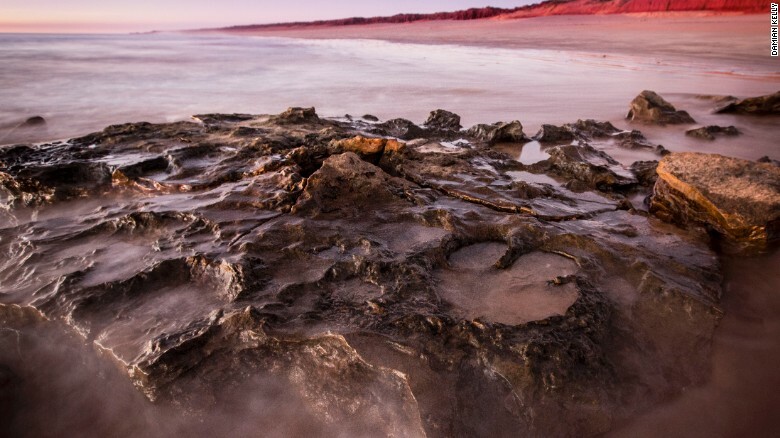 According to the University of Queensland, twenty-one different dinosaur tracks were already discovered across the Dampier Peninsula in the unprecedented find, including some rocks as old as 140 million years. Salisbury furthered the conditions on the Dampier Peninsula were ideal for both the creation of these tracks and their preservation. Meanwhile, Salisbury and his team also found the first confirmed evidence of stegosaurs in Australia.